At BirdDog we understand the demand of managing website content on an ongoing basis. Uploading new products and new content as well as updating existing pages can be extremely time-consuming and often requires a permanent and dedicated content management team. Let us take the headache out of managing your website. Send us your updates and ideas. We will get it done, we will make it look good, and you can get back to running your business. Web content management is more than just uploading content on a regular basis. It can be a key tool for the major search engines recognizing key products or services that you are selling, and as a result it can catapult your website to the top of Google, Bing and Yahoo for the respected key words. Using BirdDog Website Maintenance service ensures your website increases its changes of receiving high search engine rankings for key content upload. Create an Update Request by writing down all of the changes you'd like made to your website. Then phone, fax, email, or use this site to send us your Update Request. We'll accept email, Word documents, handwritten notes, attachments, or whatever works best for you. What can I put in my Update Request? Your Update Request should contain a list of content changes you want made on your website. With a single Update Request, you can add, remove, update, or edit up to 5 update items. This includes text, photos, videos, links, documents, etc. Send us up to 5 items in each Update Request. Check out Submitting an Update Request for examples. Design work and programming are not included in our plans. For example, changing your site's overall look and feel (design work) or adding new functionality (programming) is not included, but don't worry, we offer all of these services for our clients. If you just need a few changes to your site done, and not an ongoing relationship, then the Single Website Update may be for you. We're confident that after trying our services, you'll be encouraged to try one of our monthly plan. 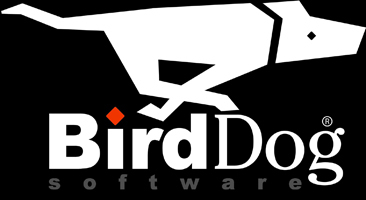 Simply compile a list of changes, with any necessary attachments, and send them to updates@birddogsw.com . Next: Do you want to add Search Engine Optimization services?